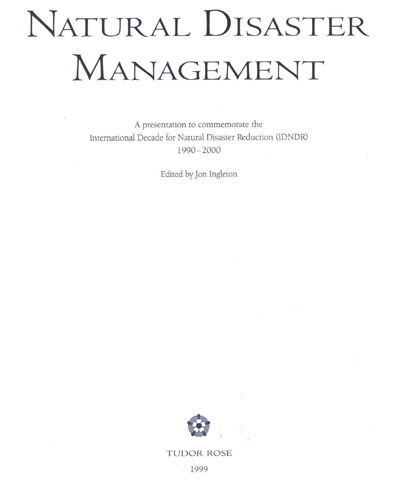 In 1999 Ricardo Alvarez was one of the subject experts invited to contribute a chapter to the book Natural Disaster Management published to commemorate the United Nations International Decade for Natural Disaster Reduction (IDNDR) – 1990-2000. The book was edited by John Ingleton and published by Tudor Rose Holdings Limited, Leicester, England. ISBN 0-9536140 0 X, and ISBN 0-9536140 1 8. Ricardo, as did all other contributing authors in the book, received no remuneration for shring his knowledge on the chapter he wrote.